Tired of living under mother's oppressive, cross-dressing demands, Andy finally summons the courage to take matters into his own murderous hands. But the day he kills mother also happens to be the same day as a global apocalypse, and Andy soon finds himself cast adrift in a sea of the flesh-hungry undead. 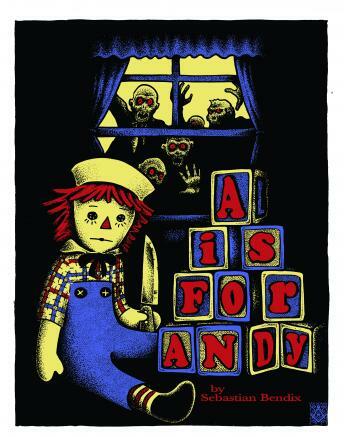 Forging a fearsome identity for himself from the rag doll scraps of mother's Raggedy Ann collection, Andy takes to the streets of his small town armed with his trusty kitchen knife and fire-poker. But when killing zombies proves a poor substitute for the real thing, Andy sets his sights on more lively game -- the last survivors of the human race.